Multicultural Organizations Collaborate for Welcome Black Weekend | Grand Central Magazine | Your Campus. Your Story. Eleven multicultural organizations collaborated to host Welcome Black Weekend – a weekend full of events that aim to create an inviting environment for minority first-year students on campus – for the first time. The new initiative aimed to promote a smooth transition into university life and give first-year students the opportunity to form friendships and connections early on at Central Michigan University, said senior Alexis Foley, the coordinator of Welcome Black Weekend. 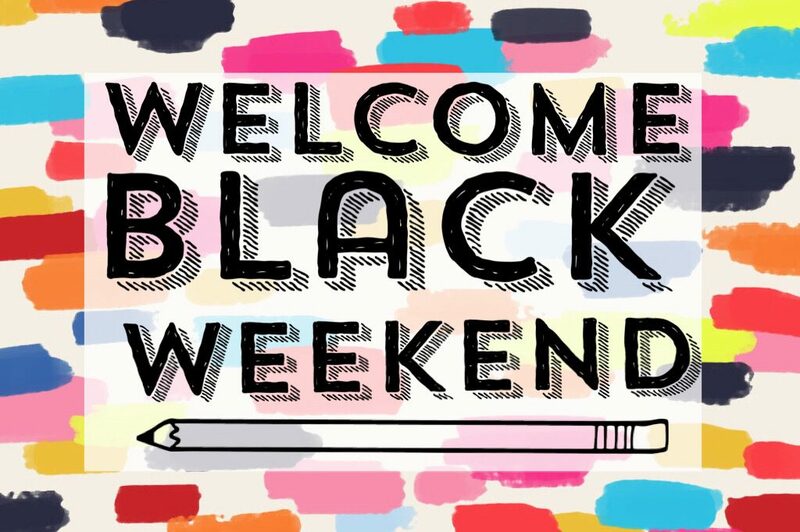 “Welcome Black Weekend is [a] celebration for those who identify with the black community composed of a weekend events schedule, which exceeds to create an inviting environment for minority first year students, as well as upperclassmen,” Foley said. Foley said the idea began with a barbecue hosted by the National Pan-Hellenic Council and the Organization for Black Unity last year. “It developed from a desire to bring our community together early on and set a solid foundation for our registered student and Greek organizations for the duration of the year,” Foley said. Among the weekend’s events were outreach from the multicultural organizations at various locations on campus, a block party at Island Park, the Welcome Black party at Centennial Hall and a Justus League showcase. The showcase featured different hip-hop artists from CMU and introduced what Justus League is and how the registered student organization is making a difference in the hip hop culture community at CMU, said Justus League president Ahsha Davis. Davis said she hopes the showcase motivates students to join some of these organizations and take part in building the community. Tori Allen, the president of the Organization for Black Unity, said some of the goals of Welcome Black Weekend are to have all of the multicultural organizations on campus come together and create something positive and to show multicultural students that they have a home at CMU, even though it’s a predominantly white institution. “We just want to show [multicultural students] that they can be comfortable and they can be involved, so they want to stay at Central, so they want to try new things, so they can be successful here,” she said. Allen said hosting these events at the beginning of the year allows students to get engaged as early as possible. Foley said the program serves as an “icebreaker,” breaking down barriers, allowing students to form bonds, establishing a judgment free environment and developing a strong support system. Separator image Posted in Campus, Campus Life, Student Lifestyle, Students and tagged with Campus Life, Paige Sheffield, Student Lifestyle, welcome weekend.